The Yale University campus in New Haven, Conn., Feb. 24, 2018. Federal prosecutors on March 12, 2019, charged dozens of people, including coaches at top universities around the country, for paying for or accepting bribes to admit student applicants. 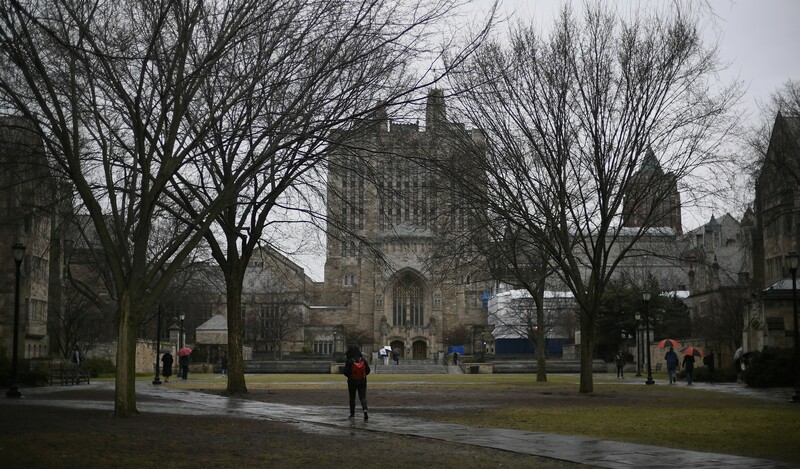 Both coaches and private admissions counselors received millions of dollars for helping to get students admitted as athletes to Yale, Stanford and University of Southern California, regardless of their academic or sports ability, the authorities say. Federal prosecutors charged dozens of people Tuesday in a major college admissions scandal that involved wealthy parents, including Hollywood celebrities and prominent business leaders, paying bribes to get their children into elite American universities. Thirty-three parents were charged in the case, and prosecutors said there could be additional indictments to come. Also implicated were top college coaches, who were accused of accepting millions of dollars to help admit students to Wake Forest, Yale, Stanford, the University of Southern California and other schools, regardless of their academic or sports ability, officials said. The parents included television star Lori Loughlin and her husband, fashion designer Mossimo Giannulli; actress Felicity Huffman; and William E. McGlashan Jr., a partner at private equity firm TPG, officials said. 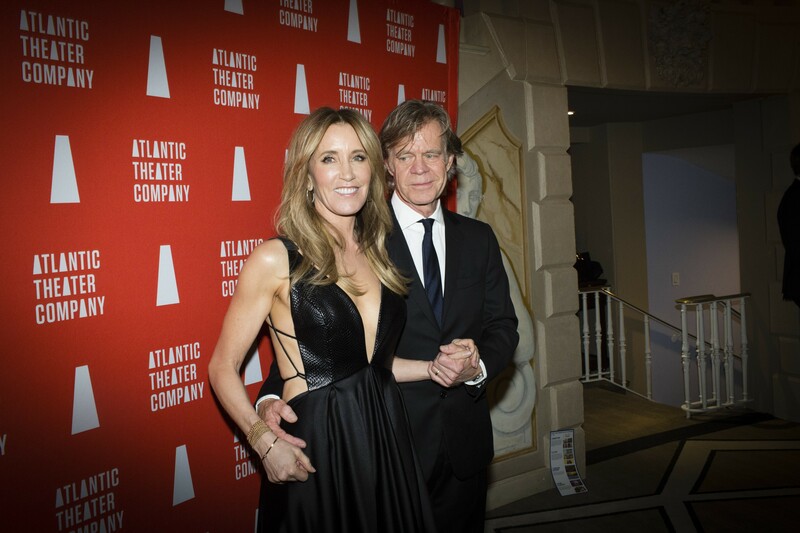 Felicity Huffman and William H. Macy at a gala for the Atlantic Theater Company in New York, March 6, 2017. Federal prosecutors on March 12, 2019, charged dozens of people, including coaches at top universities around the country, for paying for or accepting bribes to admit student applicants. Among those charged was Huffman. It was the Justice Department’s largest-ever college admissions prosecution, a sprawling investigation that involved 200 agents nationwide and resulted in charges against 50 people in six states. The charges also underscored how college admissions have become so cutthroat and competitive that some have sought to break the rules. Authorities say the parents of some of the nation’s wealthiest and most privileged students sought to buy spots for their children at top universities, not only cheating the system, but potentially cheating other hardworking students out of a chance at a college education. “The parents are the prime movers of this fraud,” Andrew E. Lelling, U.S. attorney for the district of Massachusetts, said Tuesday during a news conference. Lelling said that those parents used their wealth to create a separate and unfair admissions process for their children. At the center of the sweeping financial crime and fraud case was William Singer, founder of a college preparatory business called the Edge College & Career Network, also known as The Key. Federal prosecutors did not charge any students or universities with wrongdoing. Authorities said Singer, who has agreed to plead guilty to the charges and cooperated with federal prosecutors, used The Key and its nonprofit arm, Key Worldwide Foundation, which is based in Newport Beach, California, to help students cheat on their standardized tests and to pay bribes to the coaches who could get them into college with fake athletic credentials. Singer is also accused of bribing Division 1 athletic coaches to tell admissions officers that they wanted certain students, even though the students did not have the necessary athletic credentials.